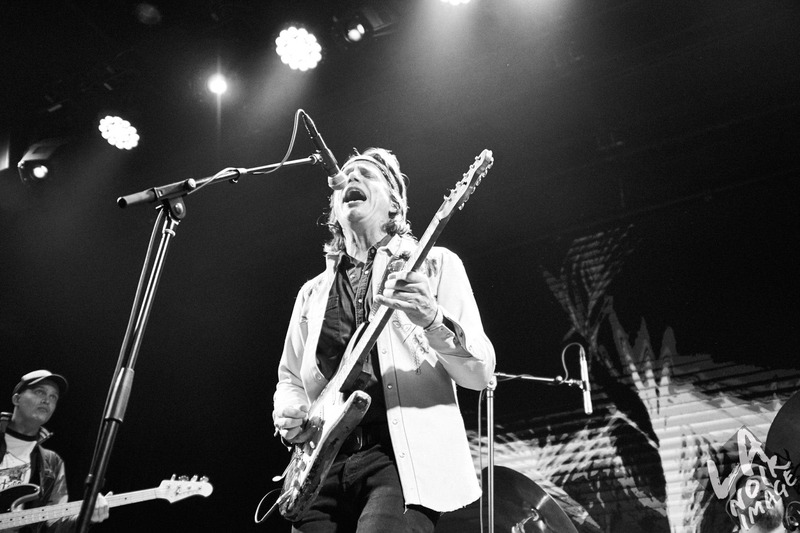 All images by Diego Salas. Used under Creative Commons License. The art of photo retouching typically transforms and alters an ordinary looking photograph using various techniques to achieve desired results. 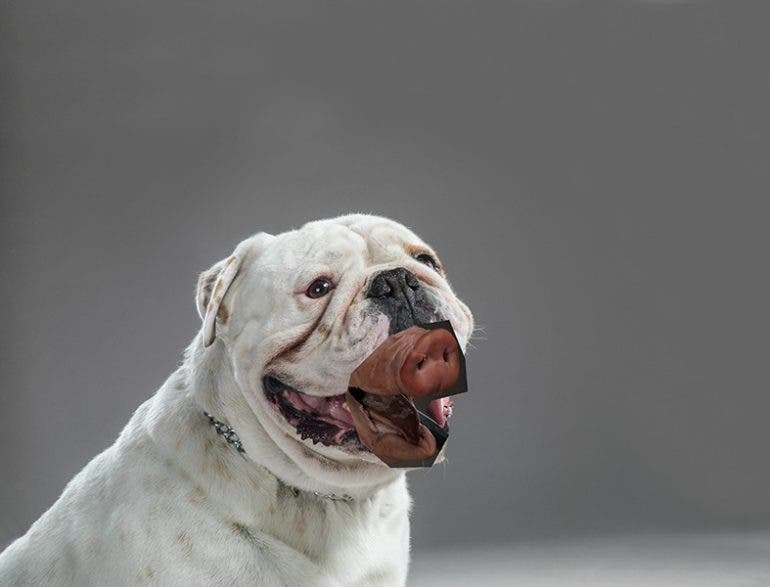 Diego Salas’ commissioned work for Pedigree took photo retouching to a different level as he composited images of fish and pigs into the open mouths of cute dogs. Looking at the “before” image, it was obvious that two completely different photographs were composited into the final output, undergoing a tonne of work in the process of photo retouching. The level of attention to detail by Diego is incredibly meticulous, even zooming into close up view the final image still looks completely realistic. The main image started as a professionally taken studio portrait of a handsome looking dog with beautiful lighting. 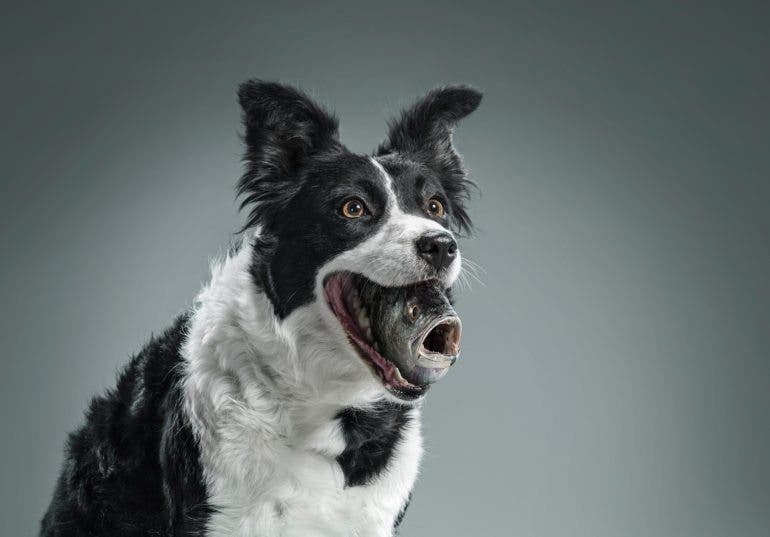 It was not an easy feat to match the secondary subject which was being stuffed into the open mouth of the dog with challenges to match the teeth formation of the dog and even-out the different lighting and color tones. You know the retouched image was skillfully done when you keep looking for faults or giveaways of photo-manipulation but you just can’t find any. 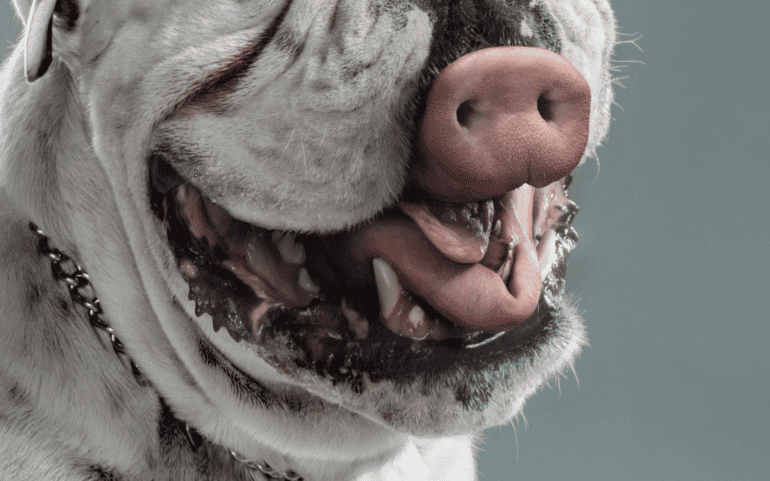 Perhaps the most exciting element of the retouched images was the retained bright and happy expressions on the dogs’ faces, while they were swallowing their food whole in a comedic sense, showing the head of a fish and a pig hanging out of their mouths. The conceptual message was clear, the dogs enjoyed their food as if they were real. You may find out more about Diego Salas’ amazing digital manipulation work at his website here.